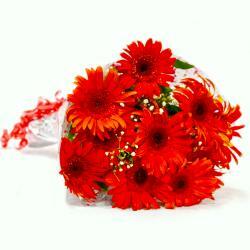 Product Consists:Hand Bunch of 12 Red Roses with lots of green fillers. This is a classy bunch of red roses carefully chosen by our florist and tied together with a matching ribbon in bow in round shape. 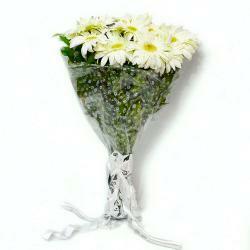 These elegant roses are adorned with cellophane wrapping that makes it look very stylish and chic. 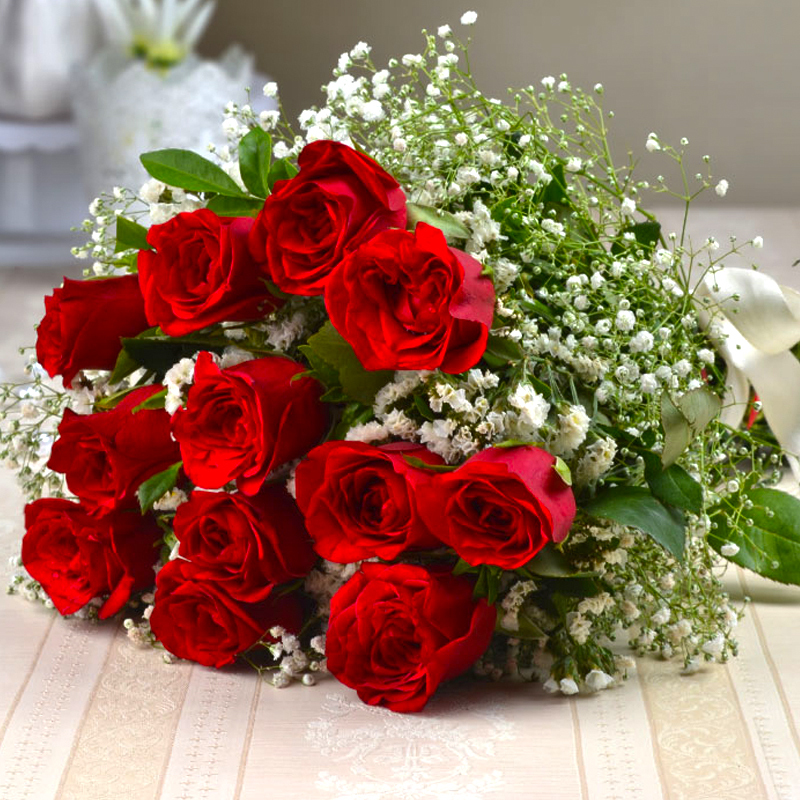 You can gift this exotic bunch of roses to loved ones on special occasions like Valentines Day, Birthday, Anniversary, Best of Luck, Durga Puja, Womens Day and so on. So go ahead and give them a reason to smile by placing order for this awesome gift. 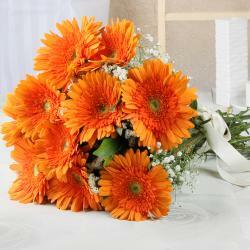 Give your loved ones a lovely surprise by sending them spectacular flowers from Giftacrossindia. 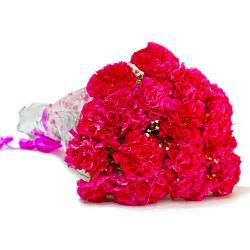 Product contains : Hand Bunch of 12 Red Roses with lots of green fillers.